"I forgot who's side I'm on!" 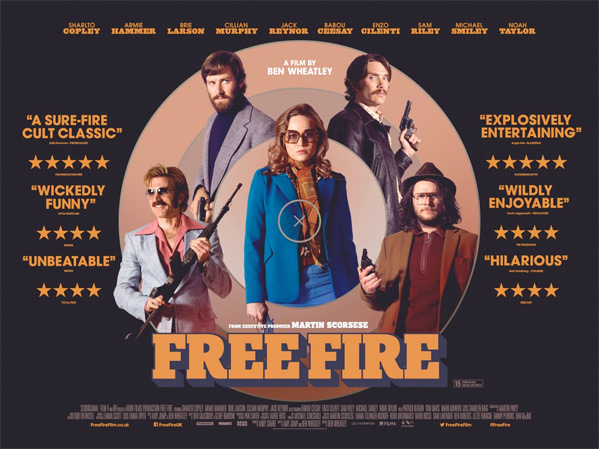 A brand new 60-second trailer has launched for the film Free Fire, the latest from British filmmaker Ben Wheatley. This has been playing at film festivals all over the world since it premiered at midnight at the Toronto Film Festival last fall. Free Fire is one big shoot out film set entirely inside a warehouse in Boston in the 1970s. It's a throwback to action films from the 70s where it's nothing but a bunch of people shooting at each other. This ensemble action movie stars Sharlto Copley (who is hilarious in this), Armie Hammer, Brie Larson, Cillian Murphy, Noah Taylor, Sam Riley, Michael Smiley & Jack Reynor. This is definitely worth seeing whenever it shows up at your local cinema. Enjoy. Set in Boston in 1978, a meeting in a deserted warehouse between two gangs turns into a shootout and a game of survival. About a weapons deal gone wrong that escalates into a manic, bullet-riddled standoff inside an abandoned warehouse. 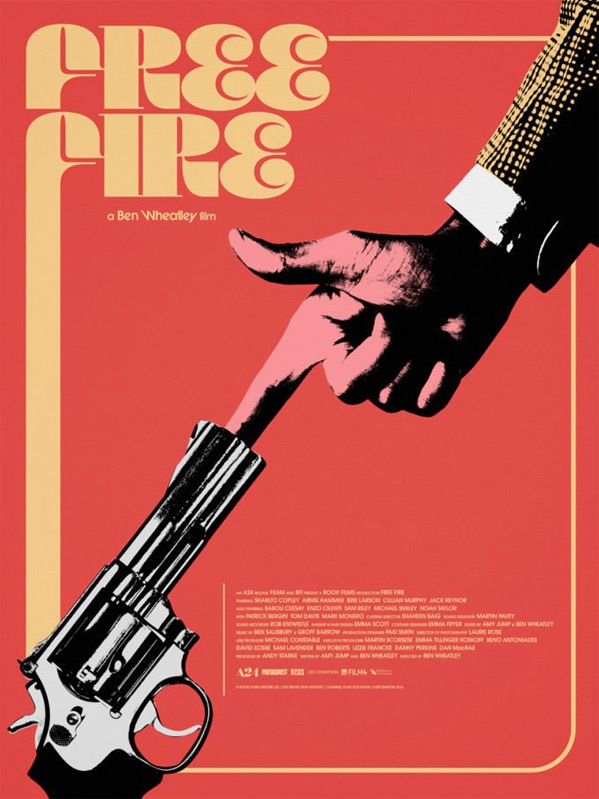 Free Fire is both written and directed by acclaimed British filmmaker Ben Wheatley, of Down Terrace, Kill List, Sightseers, A Field in England and High-Rise previously. The screenplay was written by Wheatley and Amy Jump. The film first premiered in the Midnight Madness section of the Toronto Film Festival, and played the London & Stockholm Film Festivals, plus at SXSW this month. A24 will release Wheatley's Free Fire in theaters starting on April 21st this spring. Excited for this?